IICP – Institute of Integrative Counselling & Psychotherapy provide a comprehensive programme of Continuing Professional Development (CPD) courses and programmes for Counsellors, Psychotherapists and others working in the helping profession. 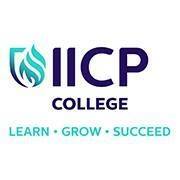 Over the past 15 years, IICP have built up a reputation for delivering professional, high quality CPD courses focusing on in-demand areas such as Counselling, Family Therapy, Integrated Supervision, Mindfulness, Anger Mangement and Supervision, Child & Adolescent Counselling & Psychotherapy amongst others. All our CPD courses are competitively priced and undergo regular quality checks to ensure the highest level of training is being provided. IICP offer a variety of IACP validated and QQI accredited courses ranging from Certificate level up to Masters Degree level.